Okay, so you know how to tune, and you want some tips on how to get the best sound from your kit? Check out the information below, and take your drum sound to the next level. Especially the mounted toms. If your batter/resonant snare drumhead is a similar pitch to your batter/resonant tom head, you’re going to get a lot of snare wire buzz when you hit the tom. It’s almost impossible to remove all snare buzz, but you can minimize it by keeping this in mind when tuning. Snare wire buzz is actually wanted in most recordings, and is added to a lot of bass drum and tom samples, because a drum kit sounds strange without it. Use them for a day or two and retune as needed. They will stretch and change slightly over this time. After this they should be much more stable. Remember this if you’re planning on recording or playing live… don’t use brand new heads that haven’t been broken in. Depending on the size, shell thickness, and shell material, each drum will have a different sweet spot range where it sounds the best. It sometimes takes a little experimentation to find it. Snare wire tension has a sweet spot, in the same way that drums do. However, the tuning of your snare drum will change this. There’s usually a small range where your snare wires sound more open (compared to a very quick tight “snap”), and this range will vary with your snare tuning. This is important to understand, regardless of whether you like a quick snappy snare, or a more open sounding one… If you’ve changed the tuning of your snare drum (even just a little), take a moment to cycle from low to high snare wire tension as well. Leaving your kit for a day or two after you tune it can give the drumheads time to set and mold to the bearing edges. Some people find their drums sound better the next day after tuning them. Try this if you’re unhappy with your drum sound after you tune your kit. This can be true even with old drumheads. Don’t use dampening to hide bad tuning. Once the drum is well tuned, then you can think about the range of dampening and sound control options available. Check out our huge drum dampening and drum muffling guide to become a drum dampening expert. Sometimes a drum can sound good on its own, but terrible in the context of the whole kit. Check that the sound blends well with the rest of the drum kit as you’re tuning each drum. This is true for both live and when recording drums. A lot of your sound after the attack will probably be buried by the guitar, vocals, bass, keys… The extra ringing you’re trying to get rid of will disappear. Ask someone to play your kit and walk around the room, especially at a live venue. The room (and any drum microphones) will have a big influence on your sound, and different places may call for different tuning, more or less dampening, or different playing styles. If you’re tuning your whole kit, start with the largest drums first and work your way up to the smallest. Starting with the lowest sound you’re looking for will mean you’ll have the best starting point, and the best idea of how wide your kit’s tuning range can be. This minimizes the need to make adjustments later if you tune the smaller toms too low. If you really can’t tune a specific drum, check that the drum is round. If it’s out of shape, it’s impossible to get an even tension on the drumhead. Also check the batter and resonant bearing edges – if they’re damaged, it will also be very difficult to tune the drum. To check a drum’s bearing edge, take off both drumheads and put the drum on a perfectly flat surface (e.g. a table or bench). Put a torch inside the drum and shine it around the bottom inside – you’ll see light coming out between the drum and the table if the bearing edge isn’t straight. Rub some soft (warm) wax on the damaged area. Don’t overdo it, and don’t cover the whole bearing edge – keep it focused only on the small damaged area (otherwise the wax can give a strange tacky sound). If this doesn’t work, you probably need to have the bearing edge re-cut by a professional. Go to the drumhead selector… The ultimate drumhead search engine. Compare Aquarian vs. Evans vs. Remo drumheads, and see all features listed side-by-side. Want more free info on tuning and drum sound? Drum tuning basics – An easy to follow guide. 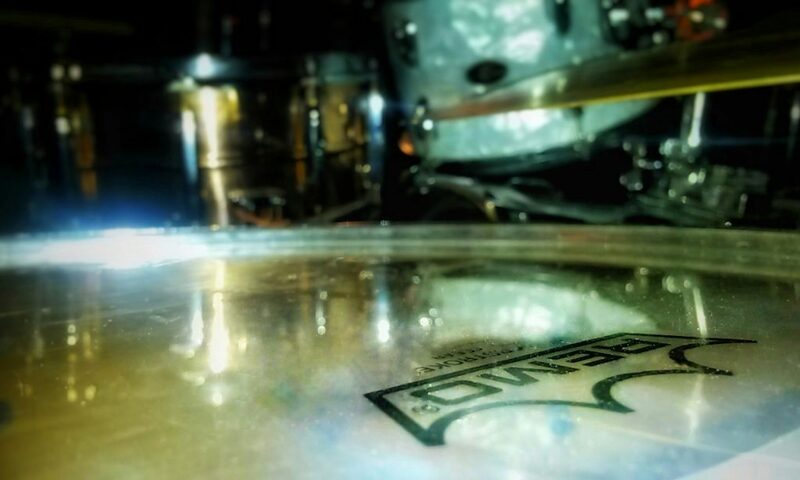 How to choose a drumhead – Everything you need to know. Drum Sound FAQ – The important stuff that affects your drum sound. Resonant snare side drumheads – The important info, all on one page. Fat snare drum tuning – A huge range of tips for a deep fat sound. Bass drum port holes – What they do, and how they affect your sound.